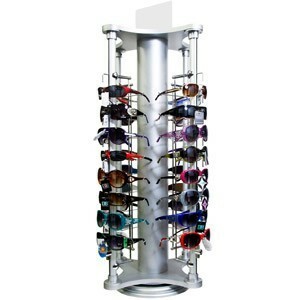 This excellent counter top sunglass display features locking racks that rotate. Holds 32 pairs. No assembly required. • Attractive Counter Top Sunglass Display.